So once you have the strawberries cut and the sticks place in the marshmallows it is time to melt the chocolate. This is how we did it~ Place chocolate chips in a medium pot over low/medium heat. Keep mixing till melted. Make sure to keep mixing so it does not burn. 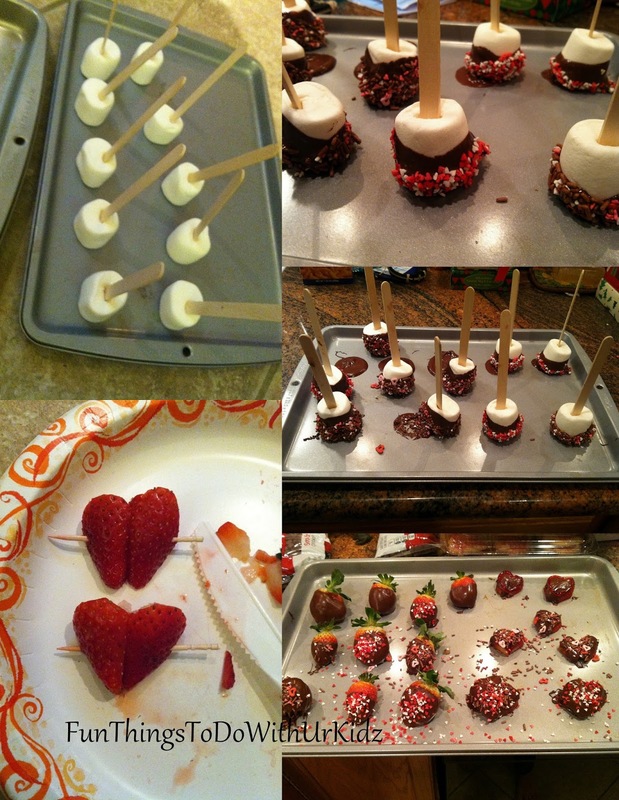 Once all is melted then dip marshmallows and strawberries. I dipped and my daughter decorated them with sprinkles once done. Do not let them cool first or the sprinkles will not stick. After all are decorated we place every thing in the fridge for a hour so the chocolate harden and it was ready to eat!